At the first launch of the program it is necessary to configure it. First we must, in order to work with DVDProfiler, indicate to the program where to find the information of DVDProfiler. To make them available, we need to export them from DVDProfiler. 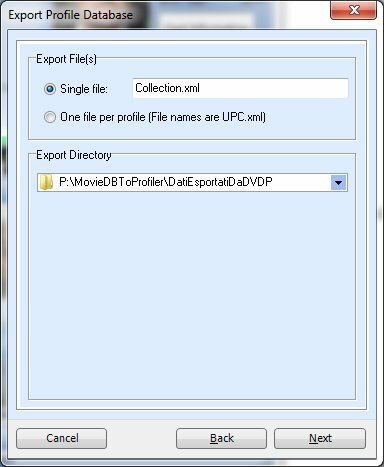 Export the DVDProfiler profile collection and store it in an accessible place. To do this we need to select the appropriate DVDProfiler menu item. Click on the File menu item. 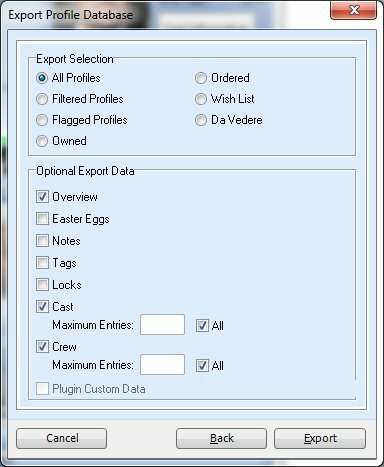 In the options that appear select export the profile database. Go to settings by pressing the tab (a) on the left. We set the complete path where the data of the various movie profiles from DVDProfiler were generated (operation performed before). 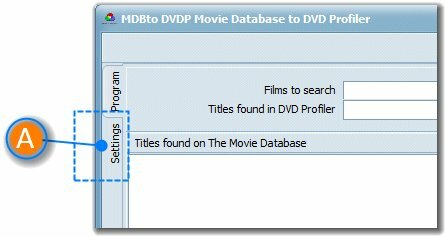 To view the covers stored in DVDProfiler (to be compared with those downloaded from TMDb) we must indicate to the program where DVDProfiler stores the database. Now the program is configured.